At Thomas Houseago’s studio building in east Los Angeles, which spans a full city block beside the giant concrete trench known as the LA River, the road is closed to traffic. The mechanical arm of a refuse truck is lifting metal dumpsters and tipping their contents into its hopper. White plaster dust billows across the street. Houseago’s team is cleaning up. Once a week, the piles of plaster, hessian, clay, broken sculptures and cracked casts that accumulate in the studio are swept together and cleared out. Houseago used to do this himself; then, when it began to take two days out of each week, he delegated it to assistants. 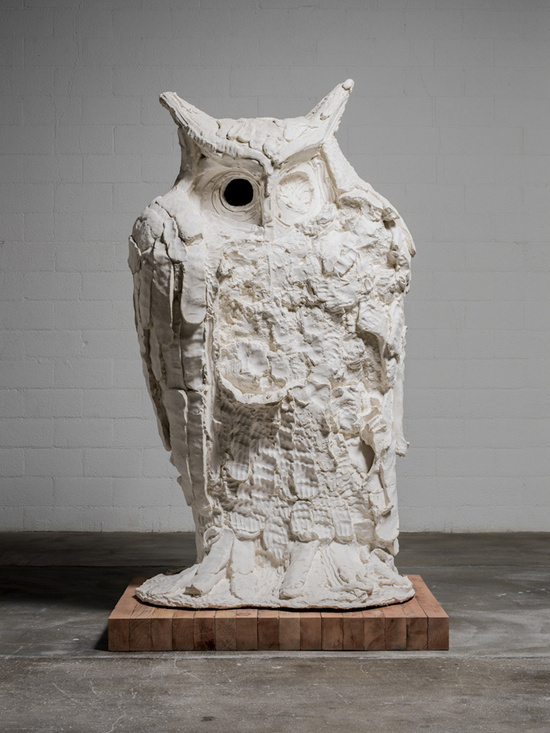 Now he employs a staff of 20, and has five foundries in the US working to cast his prolific output of sculptures in high-strength Tuf-Cal casting plaster or clay into dark bronze or pale, silvery aluminium. Galleries in New York, London, Zurich, Brussels and Glasgow try to keep up with the demands of a growing network of private collectors, as well as those of museums, including the Stedelijk in Amsterdam and the Museum of Contemporary Art in LA.